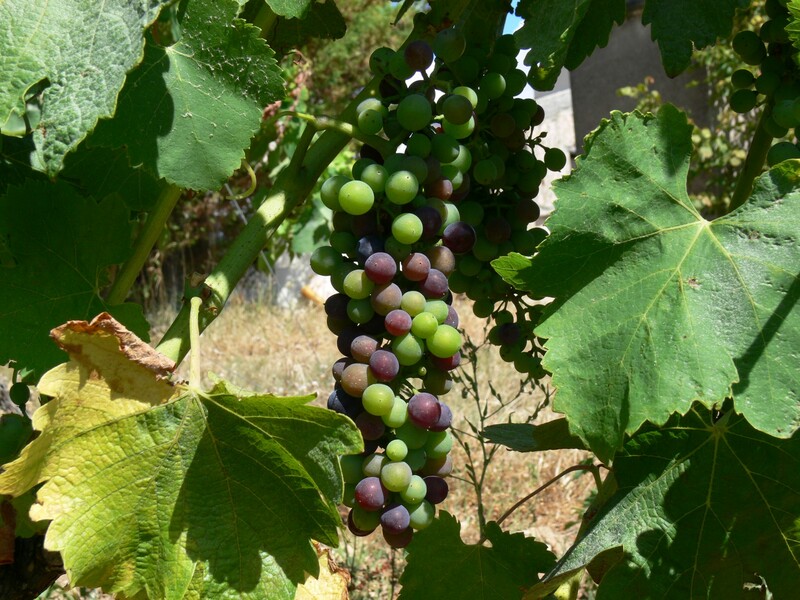 The grapes are beginning to change colour from their camouflaged green to dark red and black, in French this process is known as “véraison”. It is interesting that the process does not progress uniformly with different vines, different bunches and different grapes all proceeding at their own pace. Meanwhile the hot dry weather continues. We had a little rain on Wednesday evening as we were glanced by a storm, but it was only enough to dampen down the dust, not much more. You can see in the picture above that the vines are starting to show a little drought stress – see the yellowing and browning on the leaf in the foreground.